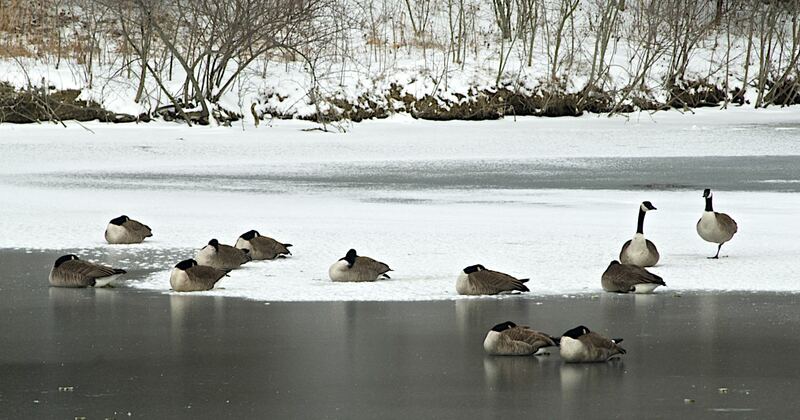 A flock of Canada geese (Branta canadensis) become rambunctious when discovering a hole in the ice on a frozen Winton Lake. 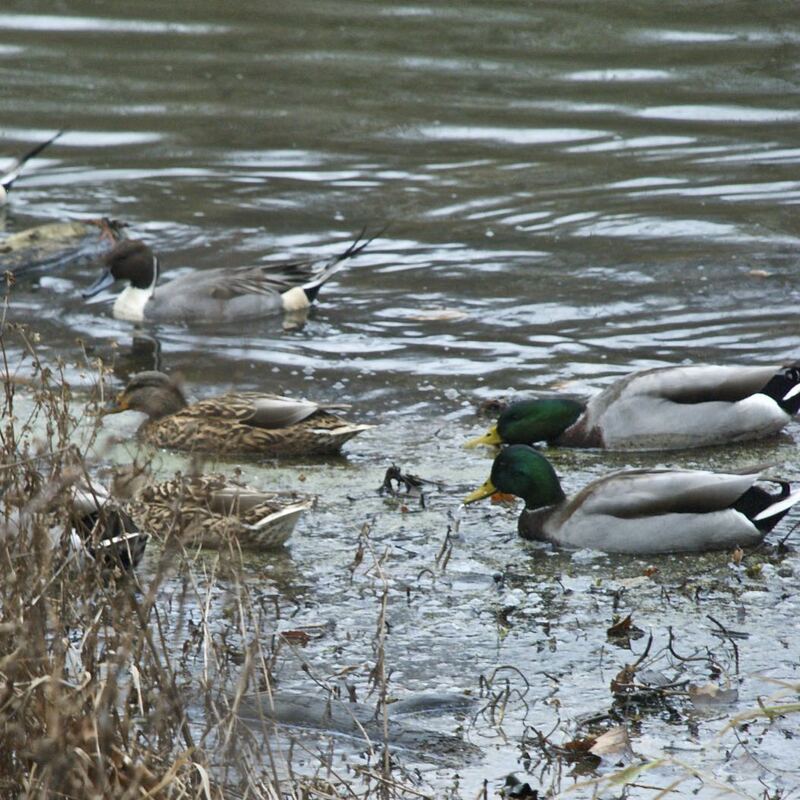 During the fall and winter seasons, we often witness waterfowl in southern Ohio without taking into consideration the migration that is going on around us. 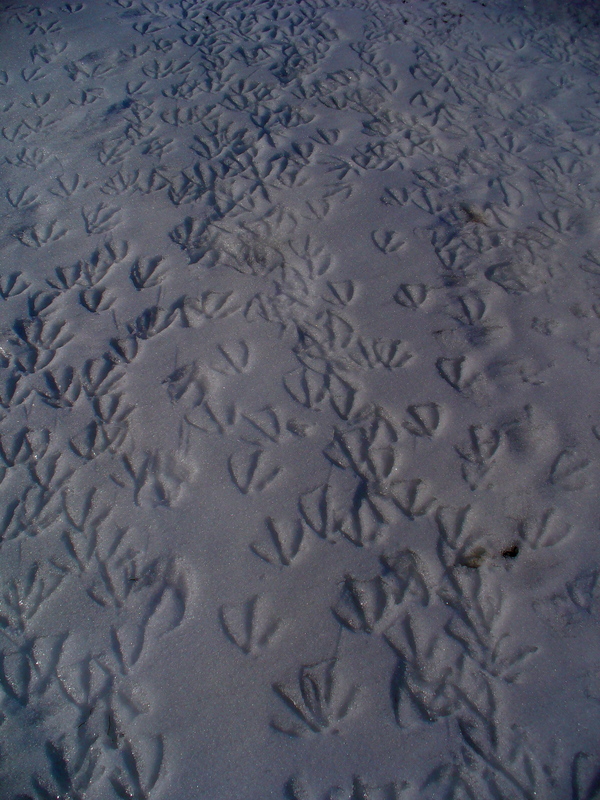 Many birds use this area as a temporary home during their migration. Throughout this migration period, Southern Ohio becomes home to numerous species, which come from northern states and Canadian provinces. 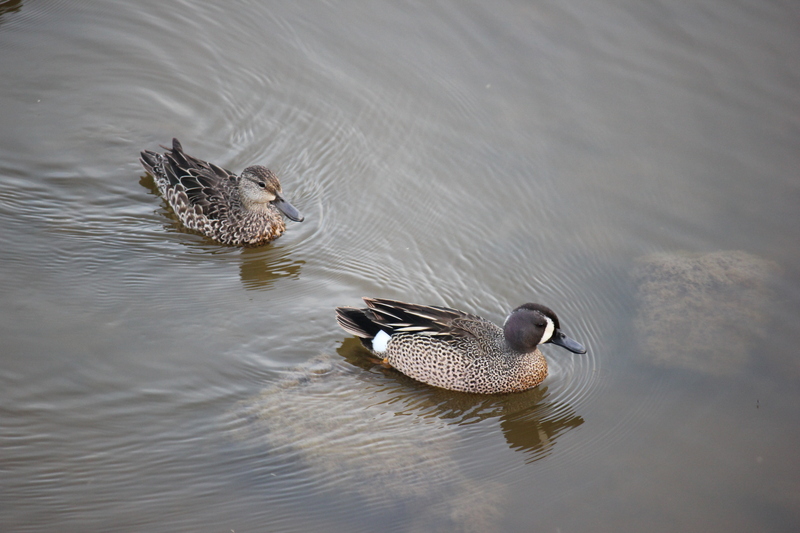 Mallards (Anas platyrhynchos), gadwalls (Mareca strepera), redheads (Aythya Americana), lesser scaups (Aythya affinis) and common teals (Anas crecca) are just some of the waterfowl species frequently seen in our area. Navigation for these birds is primarily an extension of the homing ability found in varying degrees of all birds. 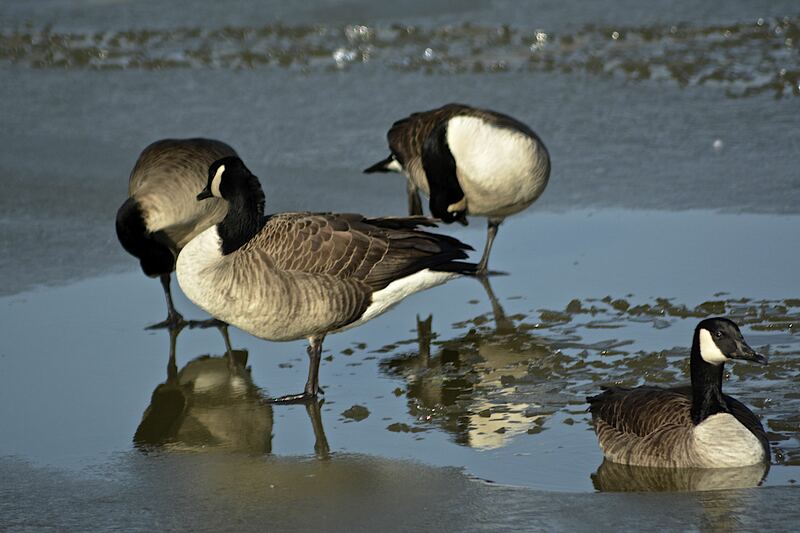 In long-distance migrants such as waterfowl, this homing ability allows them to find wintering and breeding sites from year to year with precision. 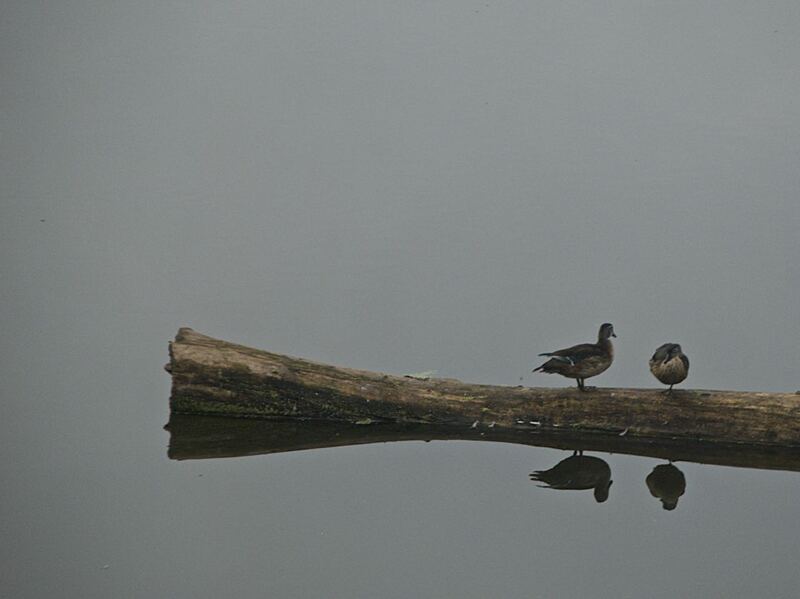 Waterfowl use a variety of clues to aid their navigation, including visual landmarks, the sun, the stars and geomagnetism. 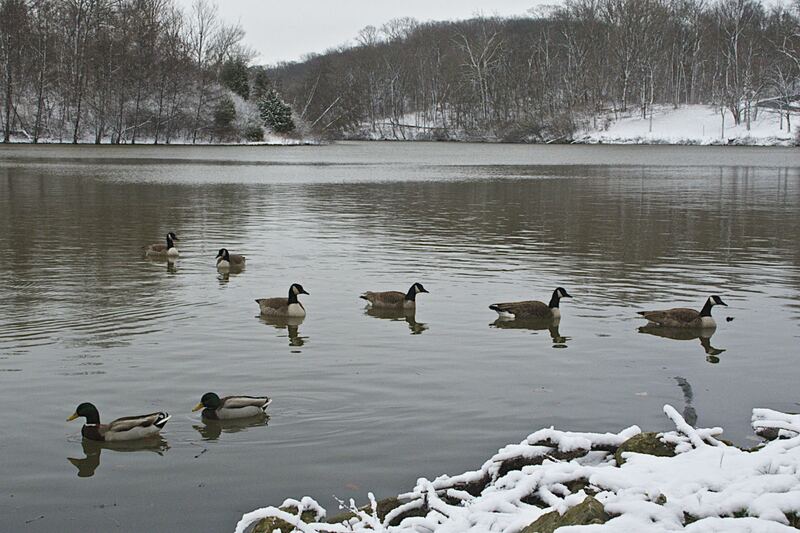 Landmarks provide directional clues; waterfowl follow geographic features like mountain ranges, coastlines and major waterways. Flyways, the flight paths or routes birds use in their migration, vary depending on the type of bird and where they can be found in the U.S. The map to the right shows the main flyways of North America. 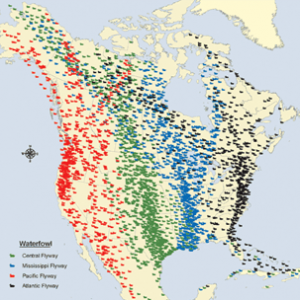 The Pacific flyway (red), the Central flyway (green), the Mississippi flyway (blue) and the Atlantic flyway (black) are perfect examples of directional clues. 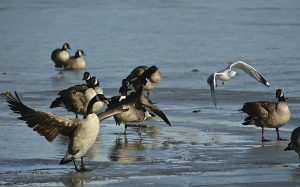 Research has revealed that waterfowl use the sun to migrate by using the axes of polarized light to determine the position of the sun. The information is then used to achieve a solar compass orientation. Likewise, nighttime migrants use stellar maps to orient between the north and south. Next time you witness one of these remarkable birds dropping into a pond or river, take a second to think of their great journey.